Moldova has followed the cleaning challenge #trashtag to collect the waste in public places. Dozens young people from Donici village, Orhei district gathered and collect trash thrown away in a field. "Lots of waste, diapers, bottles, jars, lots of bags". A young mother is pioneering in this campaign. "I think nothing is impossible. I have two hands so I'm able to do it. We will spread this campaign over other places", said Daniela Buzenco. Students of professional school no.5 in Chisinau also joined the campaign. 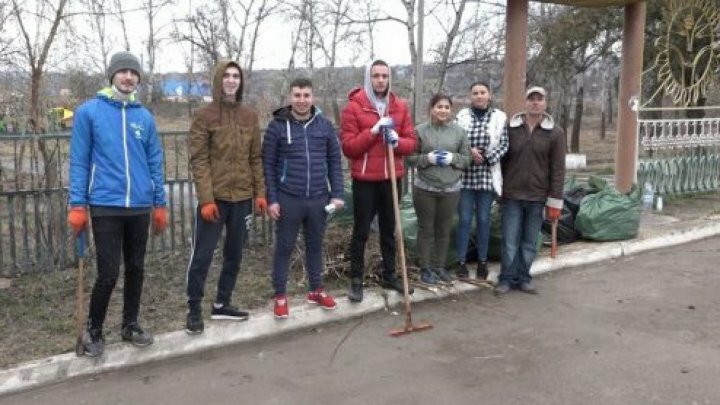 They managed to clean up a part of verge on Muncesti street. "I see many people are carrying out this campaign. It's rewarding and should be spread", said a student. Anybody accepts the #trashtag challenge needs to clean up all waste at a place, take a photo of the result and post on Facebook to motivate others to follow.